Well, this is interesting. Many of you that know LGS owners know that there's some... tension at times between shop owners and Games Workshop. That usually has to deal with required ordering numbers and minimum purchases and such. Well, one shop owner has decided that the way it's done has gone too far. 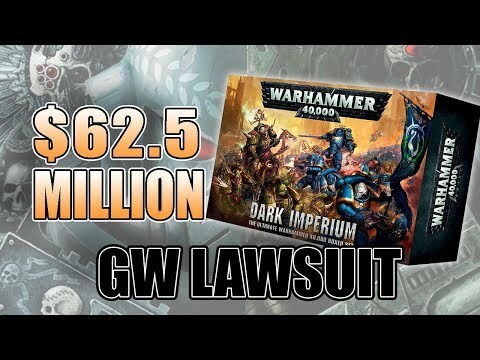 They're suing Games Workshop for $62.5 million. Game store owner, and legal counsel David Moore has filed a criminal complaint in the US Federal Court of Southern Florida alleging six criminal violations of US law and is seeking $62.5 million in equitable relief from Games Workshop. Moore alleges violations of the U.S. Law and RICO under 18 & 15 U.S. CODE, including but not limited to Fraud, Price Fixing, Tortious Interference, Breach of Contract, Unjust Enrichment, Restraint of Trade, Conspiracy and Antitrust Violations.